The one staple I know I'll always get in the States is my beloved Sierra Nevada Pale Ale. I was able to pick up a 12-pack for myself for our first night of the Tennessee trip in Nashville, and it started off the trip perfectly. 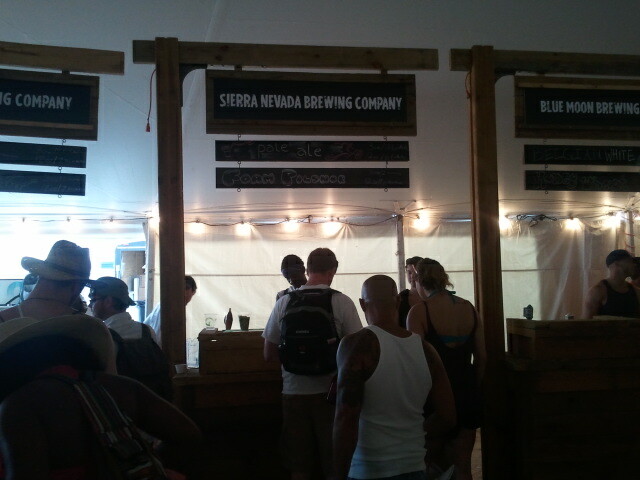 I knew Sierra Nevada was going to be at Bonnaroo from seeing a Twitter post, and when I finally got there and realized there was an entire craft beer tent, I knew I'd be spending a lot of time talking to the Sierra Nevada guys. Beside a few awesome booths and I'll talk about in upcoming posts (Blue Moon, Schlafly) Sierra Nevada took their presence there one step higher than most other booths. I visited at least once a day. 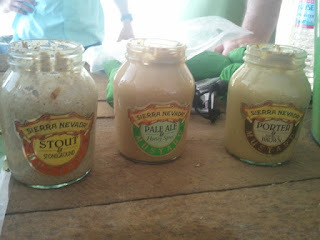 One day, they had cool give-aways like branded water bottles and carabiners, the next they had different mustards that the brewery makes, using different Sierra Nevada beers, and on the last day they had some sort of beer 101 lessons! But the 101 sessions were taking place at the same time as the BEACH BOYS!! 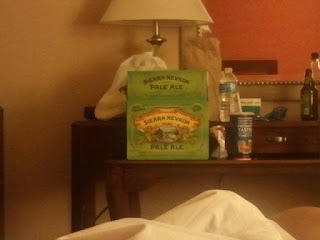 Sorry, but the Beach Boys were the reason I was in Tennessee to begin with.... although HOPS 101 did sound fantastic! 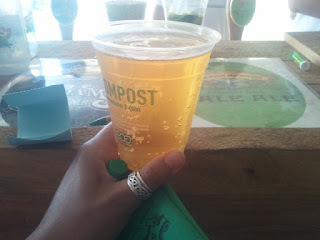 At one point the Sierra Nevada booth had .... wait for it... Cascade hops, sitting there for people to touch, smell, and enjoy being in the presence of. 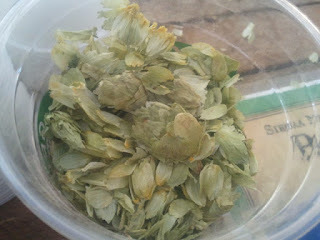 I've got to say, I was pretty stoked to finally see Cascade hops in real life! Aside from the delicious Pale Ale, the Sierra Nevada Foam Pilsner was available at the booth. 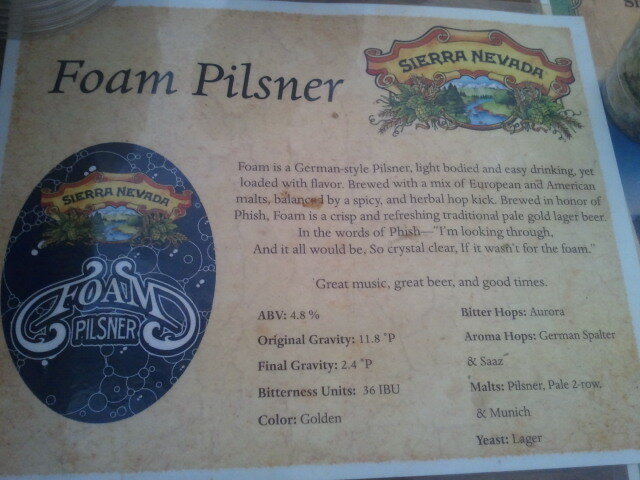 Get this - they only brew this beer for PHISH concerts. Seriously. Have you ever seen Phish? They have a following of hundreds of people, who go to every one of their shows, and know of musical cues to due crazy things like throw THOUSANDS of glow-sticks in the are. And Phish apparently never plays their songs the same way live - ever. Wild. It was really light in colour, 4.8%, and refreshing to say the least on a 40 degree Celsius day. All in all, Sierra Nevada did a great job at Bonnaroo. I even spoke to one of the reps for a good 15 minutes about hops, and how they have to dry their Southern Hemisphere hops before flying them over from New Zealand because they could explode if they're wet. That's kinda cool. I'm am really dying to to try Northern Hemisphere Harvest.I know I'll like it because it uses Cascade and Centennial hops. So what did we all learn from this post? Don't store wet hops near your face.